You receive 4 sets of nesting Morgan Dollars. 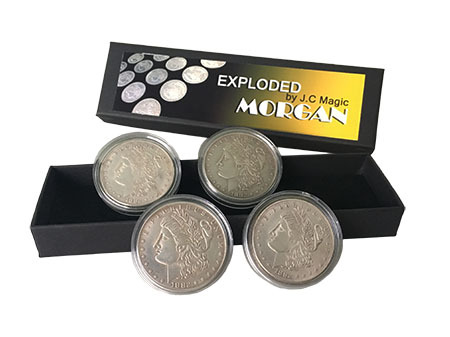 Each set contains 1 Morgan dollar and 3 expanded shells as the above image. 1 Morgan dollar turns into 4! 4 Morgan dollars turn into 16! etc. 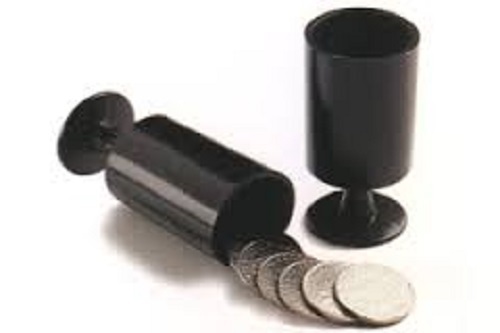 You can use just one set for your coin routine, or use all! More routines depend on your imagination. You receive 4 sets of nesting Morgan Dollars. Each set contains 1 Morgan dollar and 3 expanded shells as the above image. 1 Morgan dollar turns into 4! 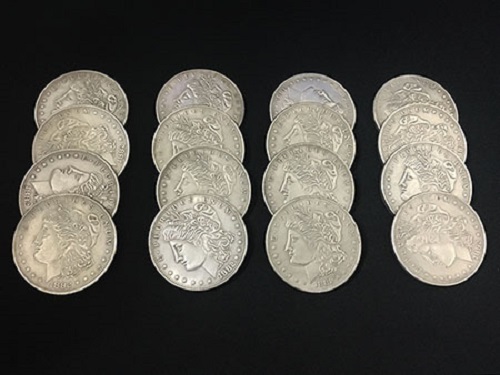 4 Morgan dollars turn into 16! etc. You can use just one set for your coin routine, or use all! More routines depend on your imagination. - Absolutely beautiful replicas of Morgan Dollars - Optimal fit and perfect in quality - Made of copper - Diameter: 3.8cm Comes with 4 Morgan Dollars, 12 expanded shells (4 set) and instructional video.